← Nigeria should host the next Super Bowl???? Well, she actually did blow me and even the world away with her amazing performace of Cece Winan’s Alabaster box, but the stunning 54 year old mother of three and grandmother of 7, Lillie McLoud, is an old R&B singer and a dance floor diva. Lillie’s daughter actually gave up her mother’s identity on twitter in her reaction to her performance at the X-factor audition. @Nevergiveup ‏@DjRayneLives……..My Mother Nicole McCloud the biggest inspiration for my creating #TNM Nonprofit #MusicFAM has just performed on #XFactor and I am in tears! 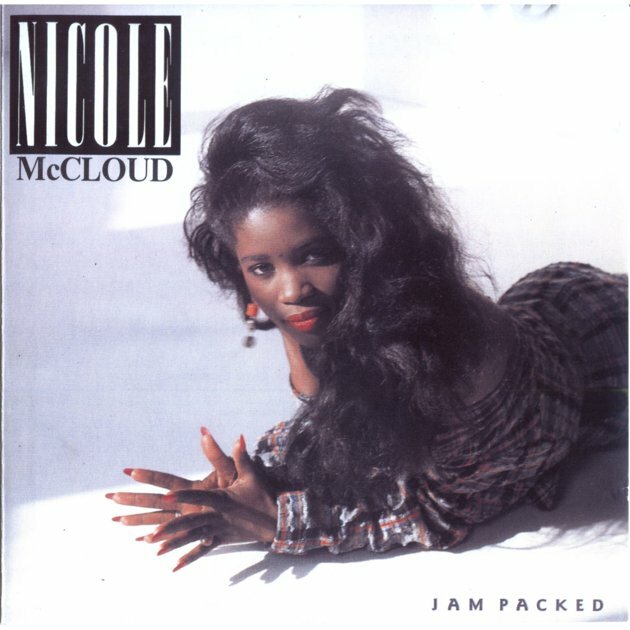 Nicole J. McCloud (born in 1960 in Rochester, New York) is an international singer who has performed with Stevie Wonder, Michael Jackson, the group Kool & The Gang, Bruce Springsteen, Mick Jagger, Timmy Thomas and other artists. She has lived in the United States most of her life where she has recorded four albums. She now lives in Košice, Slovakia. In the mid 2000s, Nicole moved to Košice, a small village in Slovakia, to live together with her partner, the football trainer Günter Kronsteiner. Her first Slovakian performance took place at the prestigious Košice International Jazz Festival 2006, where she unexpectedly performed with jazz legend Peter Lipa. In 2010, Nicole provided the title song for the Slovakian version of Britain’s Got Talent, ‘?esko Slovensko má talent’. Nicole first appeared on the US Billboard charts in 1985 with “Always and Forever,” which ultimately peaked at No. 66. Her breakthrough single “Don’t You Want My Love” reached Top 10 in the US, the Netherlands, Belgium and Sweden. Ten of Nicole’s singles landed the US Billboard charts. So far, her biggest hit has been the 1994 single “Runnin’ Away” which peaked at #3. In 2002, Nicole returned to the Top 10 with “Search’n” (#5). That same year she received a nomination for the International Dance Music Awards, along Craig David and Shakira. Lillie spoke to Yahoo Music’s Reality Rocks the day after her “X Factor” audition aired to set the record straight. Perhaps Lillie will finally “make it” after all, if “X Factor” fans give her a chance — and “X Factor” editors tell her entire story. At the moment, the producers of X-factor are yet to react on the sudden revelations about Lillie but I think she does deserve another chance at her career, age notwithstanding. Check out some of her songs on YouTube. I am a multi-talented journalist, singer and actress by training and an ardent lover of Jesus and not joking about it. follow me on twitter @princesscathey and facebook -Ekaete-Cathey Inih Ebong. I love keeping up with trends in the world and don't mind sharing. So, lets go! Posted on September 13, 2013, in Entertainment, Home and tagged Lillie McCloud, United States, X Factor USA. Bookmark the permalink. 2 Comments. Well people should just be realistic. First off, you see all the kids bringing back the old school sh**T. So why not bring back some amazing talent that still exists and can touch people. I mean listening to Nicole McCloud reminded me back of the Whitney Houston days of when Whitney was so popular she even made a movie with Kevin Costner. I say live and enjoy and this world is never too old for amazing talent no matter what walks of life come through. I don’t think she is necessarily gearing just towards God music, but really. With a voice like that, hopefully you will bring back in this era what Whitney did for me in the 90’s while I was growing up. I’m 32 now, and I’m sure my generation would love to hear you if you can keep it new and upbeat. One more comment. Look at Eminem with his latest song Berzerk. He is bringing it back old school for sure. If you happen to read this Nicole McCloud. Go for it. Start writing some music or someone write for you, and start singing some great songs so it can be played on the radio. If you need a plug or two when your ready, I’m out here in San Diego and have a few connections so once your ready you can play at a few places. Petersandiego82@yahoo.com.